2009 Nissan 370Z: Game, Set, MATCH! 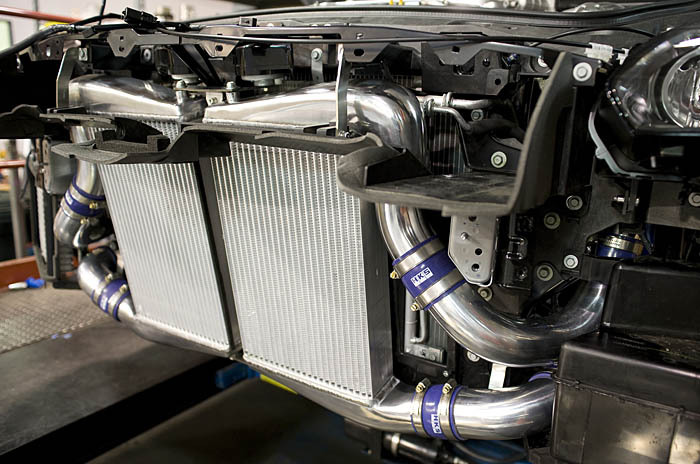 Although the very last letter of the alphabet, the letter “Z” is certainly not the last when it comes to automotive performance. 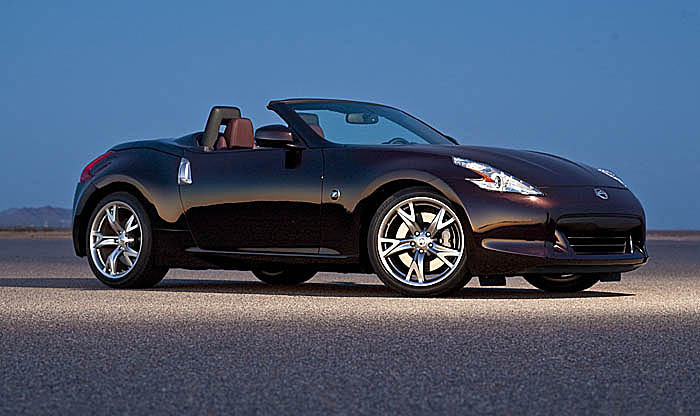 The Z car has long held the imagination and fancy of car enthusiasts for countless years. Launched in 1969 as the Datsun 240Z (S30 chassis), it introduced Americans to the notion of the affordable sports car and never looked back. After the demise of the 300ZX with the venerable VG30DETT turbocharged engine, the Z went away for a while. But things were set in motion to bring the it back thanks to, of all people, a Brazilian-born French-Lebanese CEO of French car company Renault. Yes, Renault (in case you’ve been living under a rock for a while, the French car maker has a cross share-holding alliance with Nissan). The fifth generation Z, dubbed the 350Z, was launched in 2002 to wide acclaim. Just one look at cars on the road will immediately reveal the public’s uptake of the Z. With the 2009 370Z (the nonclementure referring to the displacement of the 3.7L V6), Nissan aims to up the ante established by the 350Z. Although there are few changes visible at first glance, there’s much to see and explore once in the driver’s seat. 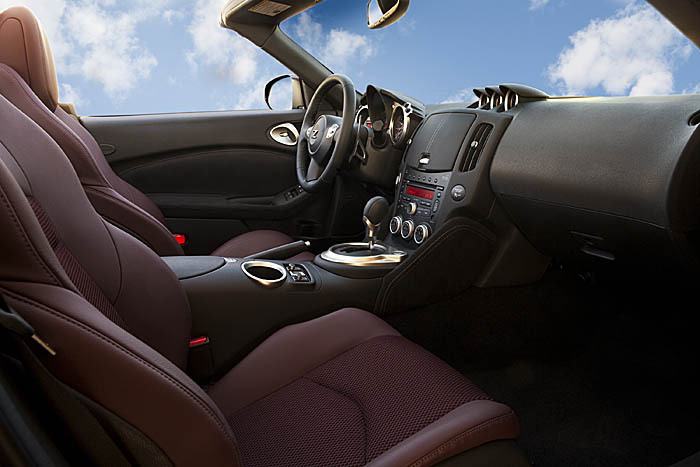 Our 370Z with Sport Package is really the enthusiast’s models with no bells and whistles but that suited us just fine. We wanted the unadulterated Z experience and we got it in spades with our “Monterey Blue” tester. The basic body lines of the previous Z carry over to the new version – the sloping roofline, high beltline and basic form – but every dimension under the sheetmetal skin has been revised. Wheelbase, width and track have all been improved for the better. There is also a reduction in overall height by 0.7 inches. Even interior cargo room has been improved, due to the elimination of that hideous integrated rear strut bar seen in the previous model. The front fasica takes a little bit of getting used to as it immediately reminded us of a catfish. But surely enough, you quickly get used to the unique look of the front end and revel in what Nissan engineers have done for the interior. As with pretty much all Nissans these days, starting the 370Z requires just a simple push of the start button. Doing so brings the VQ37DE to life – thankfully, Nissan has decided to tone down the rather annoying exhaust note from the previous generation Z. The sound the muscular V6 produces is nothing unlike the infamous RB26DETT in the previous generation Nissan GT-Rs, reminding you of the Nissan’s sporting heritage. It’s a good indication of things to come, especially considering the 332bhp and 270ft-lbs of torque on tap for your right foot. Acceleration from a dead stop is impressive. It pulls solidly through every gear, in a relentless pursuit of the 7500RPM rev limit. And having that aforementioned tachometer smack dab in front of you, with a built-in shift light, makes things easier. It’s quite a feat that such a large engine just loves to rev all day long, but it does suffer from some excessive vibration and noise at higher RPMs. 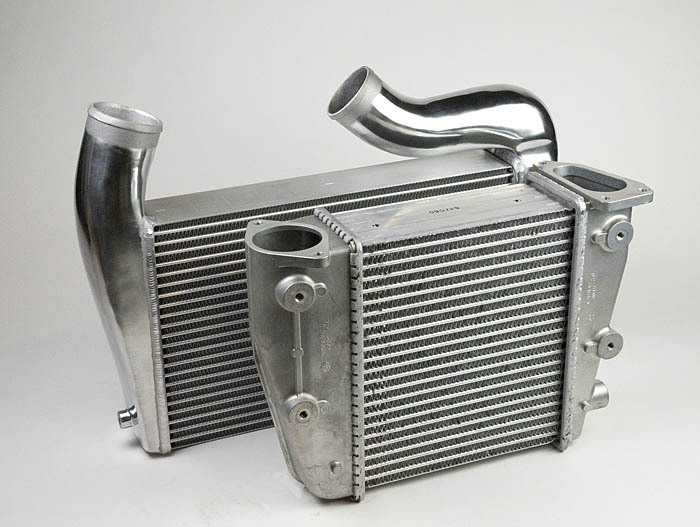 This is a characteristic carried over from the 350Z / VQ35DE. We wish that Nissan would do a better job of isolating these two minor details – if they can manage to do so, the VQ would truly become the benchmark in production sports car engines. What will quickly become a benchmark is the new SynchroRev-equipped 6-speed transmission. The 370Z’s transmission feels much more refined than its predecessor’s. Throw in the new rev-matching technology that basically eliminates any need for heel-tose downshifting, even the most amateur of performance drivers can shift like a professional. The SynchroRev system just does not let ANY downshift perform or sound incorrectly. Even while humming around in a parking lot, the 2nd to 1st downshift was match perfectly, quickly putting the revs right where it needs to be. We fancy ourselves as pretty good drivers, but this system is 100% accurate whereas we would be 70% accurate on a very good day. The 370Z owner is going to be very well served by this awesome technology, even more so if he intends to track his Z on occasion. The chassis and suspension carry on this fine-tuned level of performance by offering just the right about of stiffness without being too harsh. Blasting down rough city streets without worries of bouncing around and hitting our head on the headliner is a sure sign that Nissan got it right. Point it toward the apex of a corner and the Z telepathically guides you to it, aided by the standard limited slip differential and massive, gummy Bridgestone tires. Although there is some tendency toward throttle-induced oversteer, as most rear wheel drive sports cars tend to have, it’s very controllable and certainly easy to either power through it or pull back the reins. Quite simply, it’s an amazingly fun car to drive. Braking for the 2009-and-up models are courtesy of the typical sliding caliper set-up or the multi-piston set up found on our base 370Z with the Sport package. From what we could tell, Nissan has potentially lowered costs by moving away from the Brembo-based braking package to an unbranded package made by Akebono, but this certainly has not hurt braking performance. 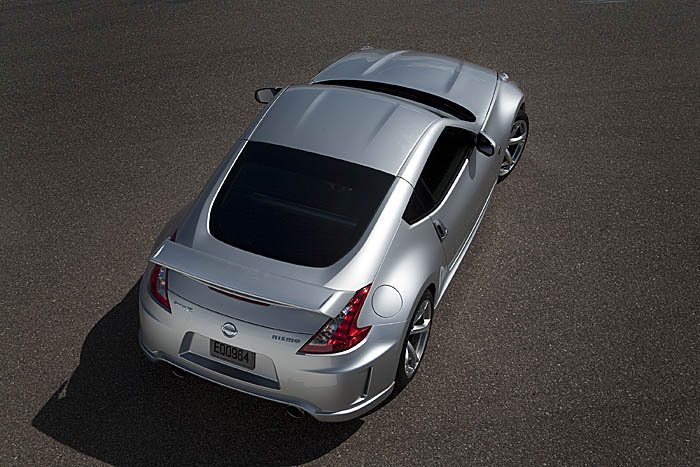 The Nissan 370Z delivered miles and miles of smiles and thrills for us. It’s such a great package out of the box that we feel it’s the closest thing anyone can come to the GT-R without paying GT-R prices. Sure, it may be impractical for some people considering it holds only 2 people, but the 370Z isn’t a car for someone who’s looking for practicality. It’s truly a car for those looking for performance, fun and an outlandishly high satisfaction of ownership. At a tad over $32,000 for our Z with the Sport package, it’s a steal and offers everything a car lover wants. And there’s such a huge level of aftermarket suppot, upping the ante in performance is easily within reach. Buy a Nissan Cube for your commute. Own a 370Z for everything else. Now… how can we get one from Nissan for a long term test…? The LEAF can be charged up to 80% of its full capacity in just under 30 minutes with a quick charger. Charging at home through a 200V outlet is estimated to take approximately eight hours. The real question we have, however, is… although the LEAF and other electric vehicles themselves may not produce any emissions, they still do not solve the emissions that are created by electricity production. Whether it’s coal or nuclear, electricity is still produced for the most part by processes which consumes fossil fuels. Until the production process and the infrastructure to support it switches over to wind, solar and hydroelectric systems, we at RevdCars still feel the notion of an emissions-free electric vehicle is just that… a notion. In 2004, the Scion xB (or the Toyota bB as it is originally known as in Japan) set a new trend in the automotive marketplace with its quirky design, affordable pricing and a marketing push that specifically targeted younger, first time buyers. Indeed, the first few xB’s that roamed the streets often solicited a universal response: “What the heck is that?” The first generation xB drew quite a crowd, young AND old, to dealerships across the country to take a closer look and, more often than not, take home the Kleenex box on wheels. Fast forward to the present. The xB has morphed into something much less than its original self, losing that design “edge” and the fuel efficiency of the 1.5L engine, however anemic the power delivery may have been. And with these changes, the obligatory price of entry has gone up as well. The xB was no longer innovative nor affordable, distancing itself from the very qualities that made it so appealing to so many. Thankfully, a new generation of the Kleenex box is hitting American car dealers and bringing back “the funk” in a major way. The Nissan cube (yes, it’s lower case). Striking. Striking in a funky kind of way. The overall design is very organic in form, with no hard angles or solid corners to be found – which is rather the opposite of its namesake. The rear window wraps around to the passenger side, creating an asymmetric visual effect. The front driver and passenger window openings look more like portholes, as if you are looking through openings on a small submarine. The front fascia with its prominent headlights and low rear bumper treatment create an instant reminder of something… although that “something” isn’t apparent at first. Personally speaking, the word “octopus” comes to mind. Step inside and the organic theme continues – everything is characterized by soft lines and rounded corners. Unlike a commercial duty truck that is full of hard surfaces and sharp edges, the cube’s interior is inviting, a place where you COULD spend hours on end during a road trip; the seats, although lacking any significant side bolstering, are supportive and comfortable, and wrapped in good quality fabric. Look above and the headliner has a ripple effect, the dome light positioned as the centerpoint. The same treatment is found on the audio speakers and, to a lesser extent, on the HVAC controls, tying everything together. The cube is also offered in the top-of-the-line “Krom” trim level, with a special front fascia treatment, unique design wheels and a host of other unique equipment – was this trim level name inspired by the character Crom in the movie Tron? Or perhaps by Conan the Barbarian’s god, Crom? If you’re expecting GT-R-like performance, look elsewhere. More than a handful of other reviews on this car speak of the cube’s lack of power under the hood. But really, is that even a relevant comment to make? Is the cube buyer looking for sub-4 second 0-60 times? 12-second quarter mile times? The Nissan cube is intended as a stylish people hauler with a low cost of entry. The 122-hp 4-cylinder is certainly peppy and permits quick getaways from stoplights. Surely, it’s no VQ38DETT found in the GT-R, but power delivery is smooth and linear. The continually variable transmission does a great job of delivering what power the Cube does brings to the table and makes the little wagon feel quite a bit more crisp and powerful than it really is. And when things do get a little dicey, it’s good to know that traction and stability control come as standard equipment on this Nissan. Handling is definitely aided by the placement of all four wheels at the farthest points of each corner possible. This creates an ideal weight distribution over each wheel, creating handling characteristics that belie the tall design of the Cube. For those aftermarket-inclined, they may opt to upgrade the stock 16-inch wheels and 195-width tires, but the stock set up is more than sufficient for the most of us. Braking was steady and consistent. Initial bite, even when cold, was good and predictable. Even though the Cube is equipped with drums in the rear, you would never know it unless you took a peek under the wheels. In terms of fuel efficiency, the cube generated an average of 27.5 miles per gallon based on a 60/40, city to highway split. That’s excellent gas mileage from a vehicle that can transport 4 adults quite comfortably. New car sales have been flat over the last twelve months due to the economy sinking like the Titanic and people opting to keep their cars longer. As a matter of fact, the ratio of used car sales to new car sales went from 3:1 in 2008 to 5:1 in 2009, according to RL Polk. Newer model cars just aren’t that exciting any more. Same, mundane designs across the board, uninspiring performance and rising sticker prices plague offerings from many manufacturers. With that being said, it’s good to see Nissan take the leap and bring this quirky, fun car to US shores. It’s certainly worth a look for new car buyers looking for a car with personality, good performance and value for money. We’re betting that the Cube will give Toyota’s Scion offering a run for its money.